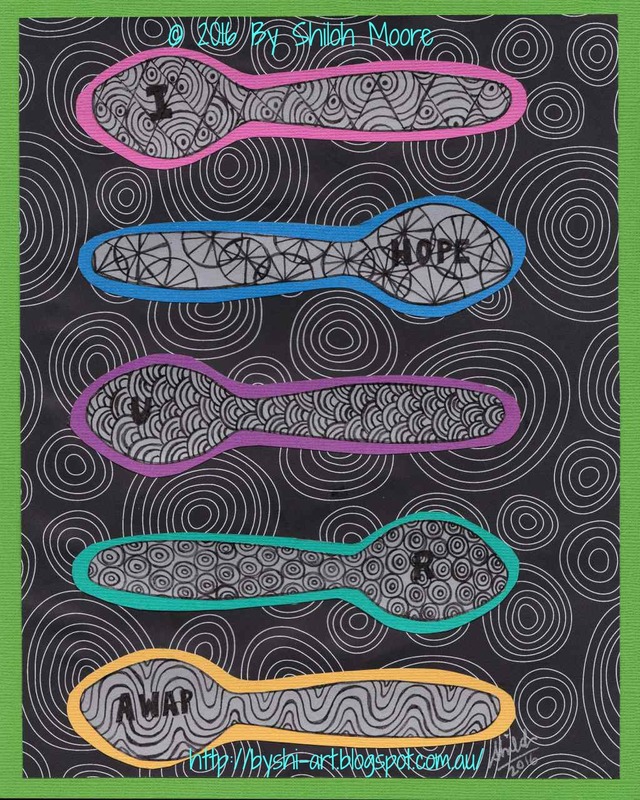 This card is a Zentangle Collage called ‘Sending Spoons,’ for my friends with chronic illness. In her analogy, spoons symbolise energy (also pain threshold.) A person with chronic illness only has a certain amount of energy per day, so only a few spoons. Every task takes a certain number of spoons. Often, you don't know how many spoons you will have throughout each day so you must be wise with how you spend them. If there's something you have to do that day, you must keep enough spoons for the task. You might have to give up doing something else in order to have enough energy to do what you need to do. You learn to prioritise what you spend your ‘spoons’ on. 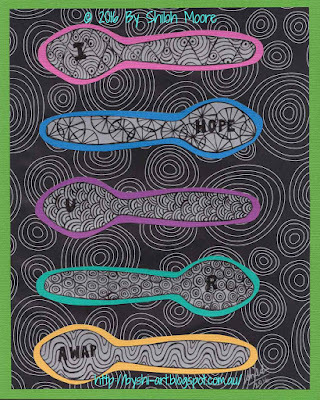 Many with chronic illness also use a phrase to sign off messages with - 'I hope you are AWAP'. AWAP stands for 'As Well As Possible'. This is awesome Shiloh, you should turn it into a card or even an ecard so people can send it to friends who need them. Love the spoon theory. Thank you so much LCC76! There is a link to buy cards from Redbubble at the top of this post. I have also printed some photos of it to hand make into cards myself. I will think about making a pic for facebook to share as well. Thanks so much!